If you’re a blogger who hasn’t heard of Quora, your life is about to get a lot easier. Quora is a site that aims to be the go-to spot to ask questions and get answers from industry experts. If you want to know more about something, no matter what it is, Quora can help you out. What you might not realize is that Quora can also be your white knight in shining armor when your brain runs out of ideas for your blog. Site users create pages that feature everything they want to know about, whether it’s breast self-exams or asphalt pavers. If you’re writing for a blog that features very specific content, try searching Quora with some of your keywords to see what pops up. There’s new content written and shared daily by everyday people and professionals alike. You’re guaranteed to find new blog ideas in seconds! Quora is unique because the content is written by experts in the field. For example, economists write posts about market trends and real MDs provide medical advice. You won’t have to search all over the web looking for reputable sources when you’re inspired by content (or spinning it heavily yourself). You have quality sources in one spot. The site is built around questions: it both herds questions together and provides the best answers. If you want to know about something specific, simply post a question. People are quick to help and provide answers, and you’ll likely be inspired to start drafting a new blog entry. Quora is all about you getting the information you want. 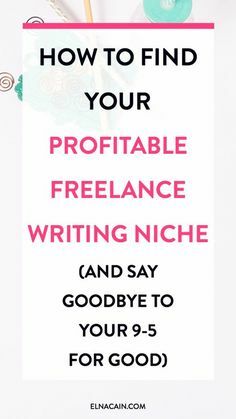 You’re in luck if you’re a blogger with a little more wiggle room. You can drum up new ideas simply by checking out users’ homepages. They’ve already done the research and leg work for you, and have put together an entire page of valuable information on a number of topics. All it takes is a little perusing to find a subject that piques your interest. You already kill time browsing Facebook or checking out the latest tweets. Unfortunately, the big social media sites often don’t give you the fodder you need to create original blog content. Quora does – by providing you with thousands of users who have cherry-picked the best information and advice on countless subjects. It’s a veritable gold mine of facts, research and ideas, and it’s yours for the taking. There’s often a thin line between inspirational aha moments and plagiarism. Even honest bloggers can get caught in the Copyscape web if there’s just one sentence that reads too closely to another. Not only can it be called plagiarism, Google Panda might also pick up on duplicate copy and hurt your blog’s rankings. A solid investment for any blogger is a Copyscape account to check for similarities. Your inspiration comes from somewhere, and sometimes it’s tough to re-write basic facts to pass Copyscape standards. Quora is a great source to help you get your creative juices flowing, but you still have to play it safe. Run everything you write through Copyscape, even if you never look at the Quora information again after getting an idea. It’s always better to err on the side of caution when plagiarism is rampant. Very interesting blog. I’ve never heard of either Copyscape or Quora (I live under a rock), so thank you for those tips. I will definitely check them out. You are right – even those of us with specific niches run out of ideas from time to time. I wonder what Quora can do for me? I will have to take a look at it.